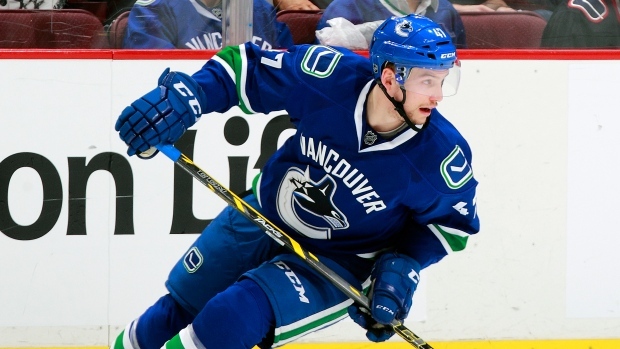 The Vancouver Canucks signed forward Sven Baertschi to a two-year contract on Thursday. According to TSN Hockey Reporter Farhan Lalji, the deal is worth a total of $3.7 million with an average annual value of $1.85 million. Baertschi, 23, put up career numbers in goals (15), assists (13) and points (28) over 69 games with the Canucks in 2015-16, his second year with the organization. The native of Bern, Switzerland is coming off a one-year, $900, 000 contract. Baertschi was selected in the first round, 13th overall, of the 2011 NHL Entry Draft. He has 25 goals and 33 assists over 138 career games with the Flames and Canucks.